As some of you already know, fly fishing literature has a 500-year history – that's an amazing volume of stories to read. Almost subconsciously I bookmarked many of my favorite passages and most of those are published now in Why I Fish. These aren't your everyday excerpts and I promise most of them you've never read before. Then again, some of the words are familiar – at least to fly fishers – and sacred. From Claudius Aelianus - circa 200 B.C., to Ray Bergman to Curt Gowdy and many more you'll relish reading what they have to say about our favorite sport. will be gifted to Native Fish Coalition. Native Fish Coalition is an apolitical, grassroots, donor-funded, non-profit organization dedicated to protecting, preserving and restoring native fish populations through stewardship of the fish and their habitats. With a focus on brook trout, Arctic chart, Atlantic salmon and Landlocked salmon. Yours truly with a bucket-load of Gila trout heading to the creek. On December 1st, 2018 the U.S. Fish & Wildlife Service, the New Mexico Department of Game & Fish, Mora National Fish Hatchery and Gila/Rio Grande Trout Unlimited hosted a historic gala to celebrate the restoration of Gila trout to Whitewater Creek in Glenwood, New Mexico. 800 mature, catchable-size trout were released with the help of dozens of volunteers who arrived that day to assist with stocking. ​I participated in the re-introduction hauling bucket-loads of Gila's, and afterward, successfully fly-fished for them. But before you accuse me of "chasing stocking trucks" I can tell you it was all legal-beagle and highly encouraged. ​Within the Gila National Forest in the foothills of the gorgeous Mogollon Mountains, Whitewater Creek once held pure native Gila trout. Some say the Gila's had been extirpated from the creek about 70 years ago. With the Gila's nearly gone, introductions of rainbow and brown trout occurred. It was the worst thing that could have happened. The rainbows hybridized with Gila's and both rainbow and brown trout are known to feed on Gila trout fry. "Gila trout were going the way of the dodo." Luckily a relict, pure Gila trout population was discovered in Whiskey Creek - a tiny headwater tributary to the upper West Fork Gila River - in 1991. Rescued Whiskey Creek Gila's were taken to the Mora hatchery before post-wildfire rains could flood the creek with ash and debris and annihilate the population. At Mora they were reared with hopes of establishing brood stock who's offspring would be propagated in more suitable streams. ​NOTE: The fish that were stocked in Whitewater Creek were Whiskey lineage Gila trout offspring. ​Historically, conservation efforts in Gila National Forest began as early as the 1920's when the New Mexico Department of Game & Fish established the Jenks Cabin Hatchery on the White River and began raising Gila trout. Despite all efforts populations continued to decline. They were going the way of the dodo. The Gila trout was originally recognized as endangered under the federal Endangered Species Preservation Act of 1966 and the designation continued under the Endangered Species Act (ESA) of 1973. 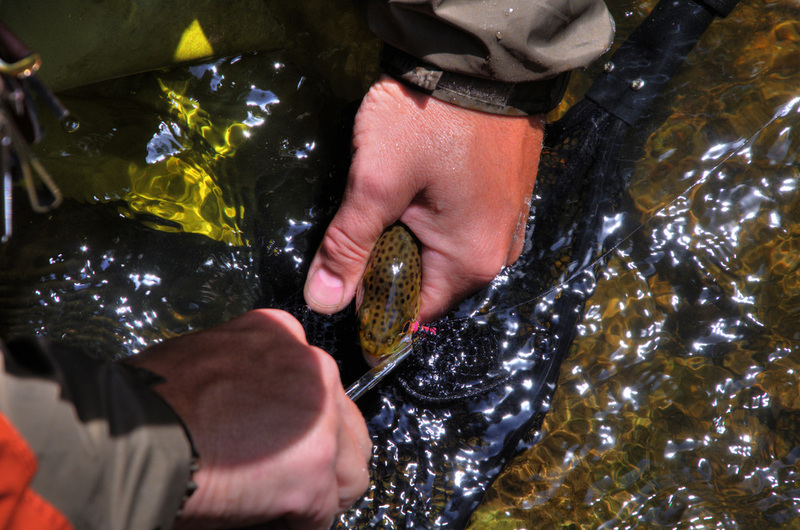 - Remove the introduced trout. This involved applications of rotenone over a 2 year period. It was deemed the only way to guarantee the rainbow and brown trout were eliminated for good. - Restore and repair riparian vegetation and trail access. This task fell to the U.S. Forest Service. - Restock restored streams with young, pure Gila trout. Multiple stockings would be conducted as needed to ensure self-sustaining populations and they would come from the Mora National Fish Hatchery in northern New Mexico. The ultimate goal: get Gila trout delisted, that is, off the ESA endangered species list and create more angling opportunities. ​After years of work and progress that happened when Gila trout were down-listed to threatened status in 2006. 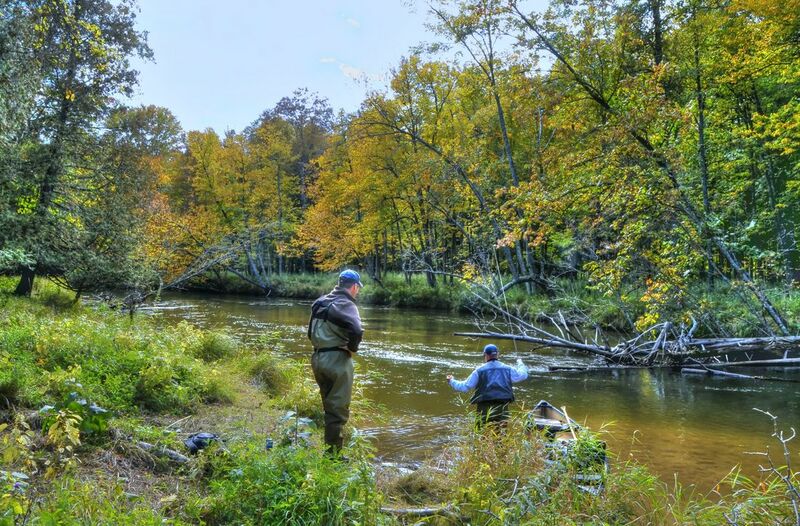 Now with much less likelihood of extinction, a special ESA provision called a "4d rule" allowed limited sport-fishing on Whitewater Creek for the first time in nearly 65 years. That's where I come in – GETTING THE WORD OUT, and the celebration gathering on December 1st provided the perfect opportunity. It was designed to do exactly that. I nearly ran to the gala. Of course I had a personal agenda - to catch a Gila trout on fly. For me it was a once in a lifetime shot and it was a bullseye. I landed two Gila's legally on fly, both fish were in excess of 12-inches and in excellent condition. Accessibility: Excellent. The drive from Silver City to Glenwood is only 65 miles through some of the most beautiful territory southwest New Mexico has to offer. In the dense cover of the early season one can spook-up and never see a half-dozen or more grouse for every bird you may be blessed to actually lock eyes upon. And for that one well-camouflaged bird, in the still-green thickness, you may not see it in time for a decent shot. What one will most likely experience is the sound and whirr of wings and, if you are lucky, the brief blur of a gray-brown projectile just as it disappears from your sight. Such are the frustrations of hunting for the ruffed grouse in the early season. It may be whatever you dream. The sporting life calls to us in such ways. Yet such are the true rewards. When on that rare and sunny day, and when all goes right, there happens a good and noisy flush, and the gun comes up, and a bird, no...a myth...goes down. Perfection. Such silver moments call upon men over and over again. And he will re-enact his quest for years perhaps, maybe for a lifetime, to achieve that single ideal. It may be the perfect shot on a perfect day. 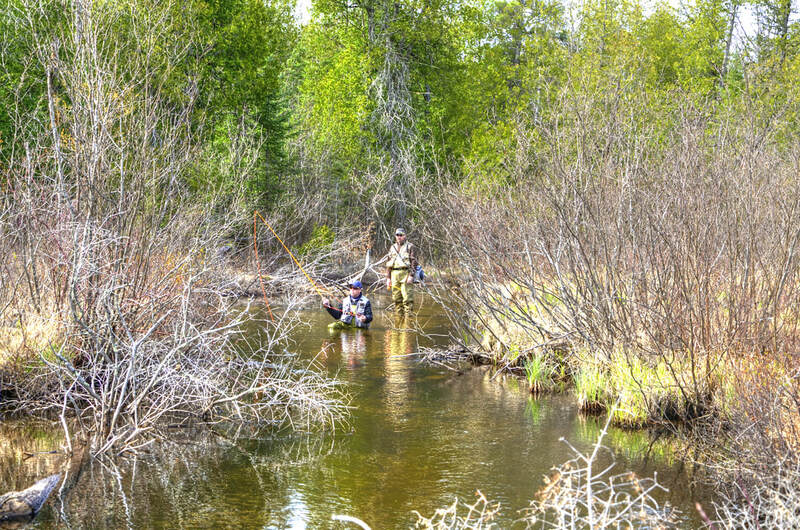 It may be the rise of a trout on the perfect river. It may be the cedar arrow nocked, loosed and that seeks its target as if on a beam of heavenly light. It may be whatever you dream. The sporting life calls to us in such ways.